Historically, the region around Marmande has been more famous for tomatoes than for wine. Elian Da Ros might change all that. After working for five years with Domaine Zind-Humbrecht in Alsace, he returned to Cocumont in 1998, constructed a simple winery and took the daring step of being the first winemaker to produce and bottle his own wine under the Cotes-du-Marmandais appellation. The wines are a tour-de-force of delicious drinkability. From Le Vin est une Fete (translates to Wine is a Party) to the single-vineyard Clos Baquey, there's a time and a place to enjoy everything that comes from this cellar. 12 - 18 days vinification after carbonic maceration for Abouriou. Elevage for one year in large tank. "Wine is a party" - quite simply named, and quite simply delicious - this is the everyday wine for any occasion. If you need a wine party - call Elian. The taste? Like Beaujolais meets the Loire made by a Burgundy lover near Bordeaux - yes, it's a mishmash, and a delicious one. Aged two years in barrel, then one year in tank before release. Clos Baquey is the grand cuvée from Elian Daros - an undeniable statement that the southwest can make ageworthy, inspiring wines. With 2-3 years in bottle it starts so show some round edges, and in 5-6 years begins to hit its prime, drinking well for about 10 years. Elian told me he was quite proud when the 04 Clos Baquey more than held it's own at a dinner with a group of famous winemakers who had all brought older vintages of their wines. Incidentally, Baquey is the name of the lieu-dit, and the word Baquey is local dialect for cowherd. The grapes are vinified using three different techniques - carbonic maceration, saignée, and press - then blended in tank. 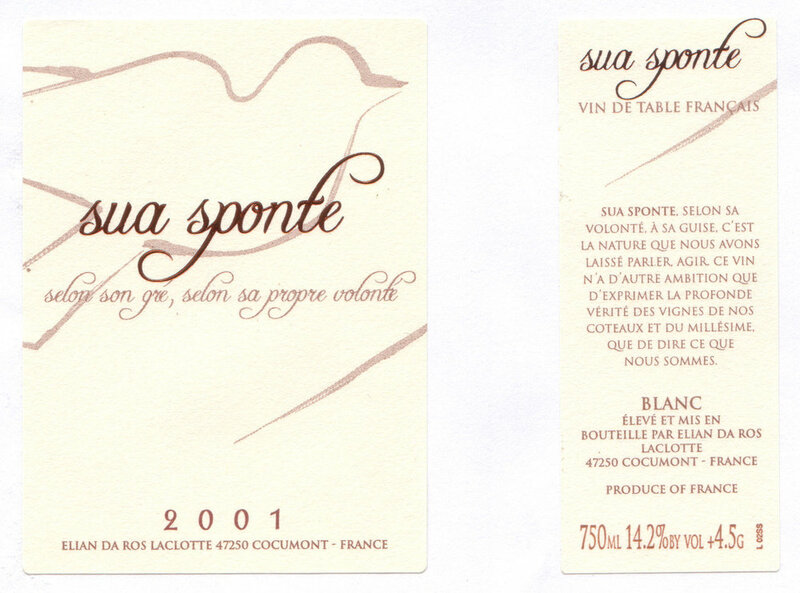 A "confidential" wine made 100% from the local Abouriou grape. From the Southwest - a dry wine that seems halfway between a dry white from Bordeaux and the Loire. Blue Marl and gravel soils. Elevage one year in foudre and concrete egg tank.